as I am getting a lot of requests from solo artists who are a bit under the radar. It is okay because, naturally, people will contact you and ask if you can feature them. The reason I am making changes is because I am getting a lot of solo artists coming through and it can be a bit samey. In that respect, I am going for bigger names; those that are a bit more recognisable and have more of a standing. It has come to a point where I am getting lots of requests and they are not really interesting me and providing any sense of ambition. My mind is turning to bands more and, whilst I will apply the same rules to them very soon, I am keen to include more in my blog. Sam Rushton, Dan Fane; Will Lee-Lewis and Lucy Evers form Orchards and they are a crew that spike my interest. My rules regarding status and follower numbers will include everyone very soon but I think it is interesting to see a group like Orchards grow and see what they have become. It is early days for them at the moment but there is a passion there. Before I come to look at their current single, I want to talk about a few subjects. I will look at Brighton and the scene that inspires originality in artists; why bands and female-led bands are growing; simplicity and originality regarding songs and videos; why bands are starting to take more of a stand and have more promise to them; touring and how getting that gig experience can make a big impact. I miss Brighton a lot and do not get a chance to visit much. I haven’t been since Christmas Eve and always love heading down there. I love the people and vibe down there and always gravitate towards the vibe. It is a very colourful and friendly part of the world and you always get relaxed and feel better when around the people. The reason I mention Brighton is because the band are based down there and it is a great spot for talent. Whilst one or two of Brighton’s big venues have closed the past few years, it is an area that is thriving and worth a closer look. The atmosphere and feel of the place inspires something different and fresh. The people are a lot different to, say, London and you are put in a good mood when walking the streets. That may not seem important when it comes to music but I think there is something in the air that compels musicians. Of course, if you are more relaxed and happier then that will translate into great sounds but I think there is something else at play. The fact artists are more relaxed and it is a less busy and packed place means they are free to wander and not so stressed. Brighton has a lot of great shops and bars; a great pier and beach and there is a tonne of stuff that compels the imagination. Other areas of the U.K. are great but there is nowhere quite like Brighton. Maybe it does not have the same opportunities and stature as London and Manchester but Brighton’s music is brilliant. There are a lot of female-fronted bands coming from here and I will talk about that later. It might be a stretch to suggest the sound of Brighton is vastly different to that of London but one gets a different tone. 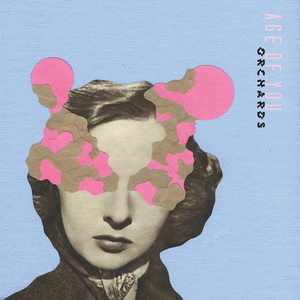 I am bit late to the party regarding Orchard’s new single, Age of You, because I got the request last year but it was hard working out timing and getting everything together. I am not reviewing any song in the past soon – singles released a few weeks or months ago, say – but I will make an exception here. The band will be planning new material so, in a way, Age of You is still quite fresh and worth exploring. Orchards had a busy 2018 and achieved quite a lot. I will end by looking at their touring schedule and the fact they are pretty busy this year. I wanted to address female-led bands because they seem to be on the rise. There have always been female-fronted bands and some of the greatest from the 1990s, - including Skunk Anansie and Republica – have inspired a lot of groups today. I think there was a period when there was a lot of male bands and they tended to dominate. 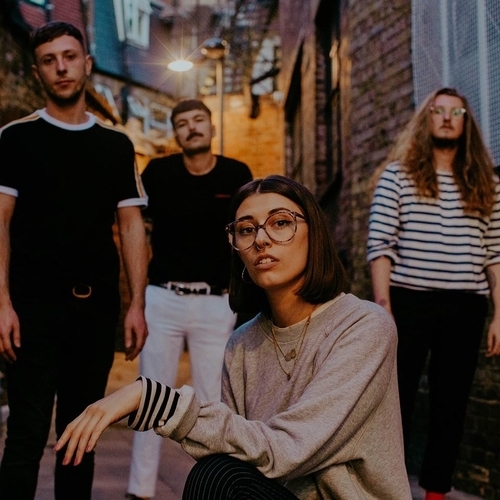 It might be the case they are the ones still getting booked for festival headline slots but the new wave of female-fronted bands should redress that. One of my biggest annoyances is the fact festivals still go with the all-male band and the same predictable sort. It can be annoying and does not reflect the changes in modern music. By that, I mean there is more depth and variety to be found. Female bands are more evident and mixed-gender bands provide a nice tonal shift. I am not slagging off all male bands but I think they can be quite limited and there is something lacking regarding sound and vocals. I do prefer a female voice and, when you have one leading a band, it can provide greater thrills and emotion. I feel all-male bands do not have the same depth and chemistry and bands with a female member. That might sound general and flawed but I think female-fronted bands are really exciting. 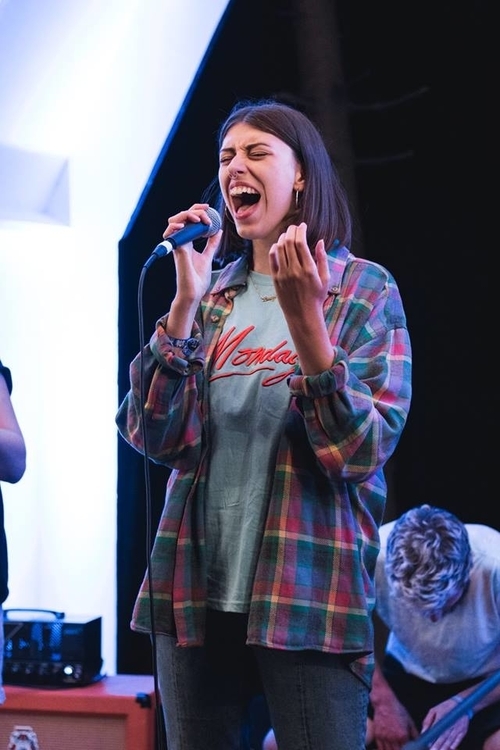 Brighton has quite a few female-led bands (including Yonaka) and I love to promote them. Maybe festivals will get their act together and realise, when it comes to bands, there is much more pleasure and colour to be discovered in female-led bands. 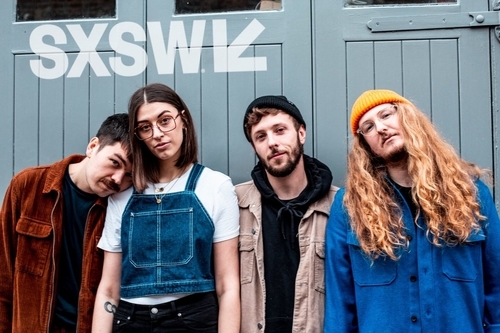 I am not sure why there are a lot of female-led bands coming through but I think it is something to do with the lack of variation and surprise you get from a lot of male bands. You have different voices in the group and, with a female voice at the front, it can add something you would not get from a male band. It is interesting seeing how the band market is changing but, in many ways, it still has to compete against the solo hegemony. It has been the case, for many years, solo artists are ruling and they seem to take more of the pie. I wonder whether bands will get the same attention as them very soon or whether this pattern and landscape will remain for years to come. I think, if bands are to take more of a stand, then we need to look at moving away from the all-male variety. It might sound harsh to write them all of but I think they can be quite limited in terms of sound. When it comes to the male bands I am approached by, they tend to be Alternative or Rock bands. You might get the odd different one here and there but they tend to be a bit heavier. That is okay but you do tend to get a bit bored after a while. Unless you are IDLES are a band like that, you are not likely to make a big an impact as a band that has a bit more range and endeavour at their disposal. It is the Pop element that Orchards add that I love. I also love how bands like Yonaka can add something fiery and intense but, because it is delivered by a female voice, it provides something very different to what is out there. Not only does one get a more interesting vocal performance but you have a new lyrical perspective. Lucy Evers leads the boys but she does not dominate and steal too much of the focus. Instead, she puts her incredible voice at the front but you can hear the connection and intuition. I like how Orchards have this close bond and there is this original sound. I do hope festivals will book more female-led bands and, in years to come, they will get to headline. 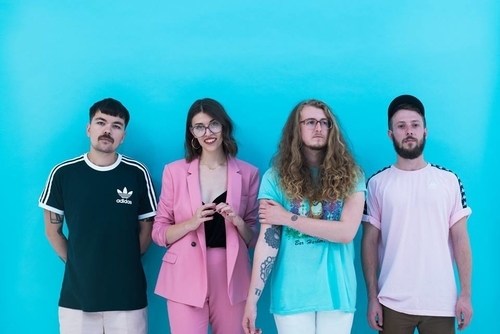 The same can be said for female bands too: a more interesting and fresh alternative to the sort of male bands that are headlining festivals right now. Orchards have already released their E.P., Losers/Lovers, and it gained some big reviews. Age of You is about making promises and not quite being able to fulfil them. Lucy Evers has said it is a therapeutic song but quite hard in an emotional sense. The track is about having chances to be the best version of you but knowing there is something missing. There are still too many tracks about love and heartbreak and I think many artists are lacking when it comes to ambition. Think about the average human and how complex they are. They have so many sides to them and I do wonder why so many get caught up with relationships and focusing on them. We all go through so many different situations and very few of them are actually documented in music. I do love music that talks about matters of the heart but how inspiring is that for the average person? If you have not been in love or going through that sort of thing that is more academic than anything. I think music is most potent when it reaches the largest amount of people and has that familiarity to it. If you are not in a relationship then it can be hard to get behind songs that talk about splits and strains. I do think a track that talks about not being at your best is more common and we can all relate to that. We have all been in the position when we try and give everything to someone/life and still feel like we are lacking. Rather than provide a rather tense song that is quite depressing, the Brighton band do offer some hope and it will teach you some lessons. It is quite emotional and hard-hitting in places but I like its overall sound and we can all take something away. How many artists are writing songs that connect with everyone and go beyond the average and ordinary? Not only can a simple yet effective song resonate and endure but the same can be said for videos. Orchards had Stewart Gardiner direct the video for Age of You and they collaborated with their fans. The band wanted to keep things quite simple in terms of the lightning and set and not have something too cluttered. They reached out to their Instagram followers and, on certain lines, photos from them filled the blanks. Rather than the director compose the band in a scenario, they used these snaps to sort of respond to questions posed in the song. It is a nice way of involving the fans and quite a fresh twist. I think too many music videos try and tell a story and they do not feel personal or seem a little ambitious. It can be hard getting the video right and making it hit but there are ways to make it stand out. Given the rise of social media, I like the fact Orchards incorporated Instagram but the video itself has a lot of great elements and moments. It is a stunning video but a fairly simple one. I like music and videos that can make an impression based on something quite easy. Orchards manage to pack a punch with their song but do not need to use complex language and expressions. The song is cleverly written and sharp and it digs deep. One can feel it is very personal but everyone can relate to it. The video could have gone in the wrong direction and been rather wasted but the band and director have crafted something superb. You look at the video and remember the sights and scenes. I do wonder whether artists are taking advantage when it comes to videos and trying to craft something unique. It is costly to make a video but that does not mean you have to skimp on memorability. Orchards and Gardiner have produced something fantastic and charming. It almost juxtaposes some of the more serious aspects of the song itself and helps heighten the words. I can tell the band enjoyed the video and it perfectly visualises their track. I intimated bands will struggle to match solo artists and not get the same credit. Whilst I think there is too much focus on solo artists and that seems to be what is popular right now, I feel bands can make a break. There are some great solo artists in the market right now and the work they are creating is stunning. Whilst one can relate to solo artists and love their music, I do think bands provide something more emphatic and fulsome. When seeing a band live, there is something different compared to seeing a solo act. Bands used to rule and have the biggest say but things started to chance at the beginning of the last decade. Maybe it was a natural evolution but I think bands now are struggling to get mainstream attention. I think one of the reasons why bands have struggled is the fact they have been sticking with generic themes and sounds. Solo artists can provide more depth and flexibility and groups have not been able to match them. I am seeing the older order die out and those groups that are all heavy riffs, generic songs and the same old feel. In their place is a more ambitious and original line-up that has that knowledge of what the market wants. There are predictable bands out there still but there are many more that have something real to say. Whether it is the emotional struggles they face or the state of the world right now, it is a lot more than simple riffs and the same sound. Genres are being fused together and, with more female-fronted bands around, there is ample choice for festivals and fans alike. Bands are becoming more varied and I like the options out there. One can find an Electro-Pop group and there are some great Pop-Punk options. Depending on what you are into, you are likely to find a band that can fit the bill. I do think this choice has been missing and it is good to see a host of bright bands who can inspire the next generation. Maybe bands will not completely bring us back to the 1980s and 1990s but there is nothing to suggest we will see less of an imbalance. I think the best live performance is from a band and there is something thrilling watch a group interact on stage. Solo artists are great but it can be quite hard to project the same sense of urgency, energy and colour you get from a band. Orchards are a group that showcase what is out there and how the market is changing. They have Pop and Rock elements working away but their lyrics are as personal and arresting as any solo artist. It is the chemistry in the group and the way each member adds to the pot that gets to me. You get that sense of togetherness and I feel Orchards are the match of any solo act out there. I do feel like male bands have struggled to adapt and too many are not saying anything new. That can lead people to solo artists; the band market starts to shrink and it can be sad to see. I feel this new breed are a lot more conscious of what the public wants and why solo artists are taking a big slice of the pie. Perhaps it will take a few years before we start to see real change but I can see bands taking a stand and getting more focus. Orchards are a brilliant group that have a long future and they seem rock-solid. I like the way they do things and the sounds they produce. The more bands that come through, the harder it can be to be distinct and stand aside. One of the dangers of bands swelling is the fact you get soundalikes and there is repetition. That is natural but there are plenty of bands who are on their own page and have their own scent. Let me come to the song, Age of You, and express why it is so good. Age of You opens really well and springs right into life. It skips and has a crisp sound that instantly gets you invested but does not sound like anyone else. It is quite a catchy opening that has plenty of energy but there is depth to be found too. Although a few words do get lost – either buried by the composition or delivered quite fast – the lyrics talk about the heroine talking to herself and asking some big questions. It appears she has being trying her best and being the best version of who she can be but that has not been enough. She has thrown fireworks and maybe struggled a bit in relationships. Rather than beat herself up and blame others, this is this sense she has room to grow and is aware of problems that have arisen. Even though the odd lyrics does get lost and fades a bit, the heroine’s voice strikes out and she is looking back at opportunities lost. She talks about relationships past and wonders whether the right decision was made. Would things have been different if the bond was still intact and would it have made her happier? It is always hard to look back and wonder whether you have made the right call; if you did what was necessary or was a little rash. It seems like the decisions made were right and seemed natural but there are questions being asked. I like the fact the song has this quite energised and sprite tone but it is never too heavy. One would feel an emotional and personal song would be quite gloomy but the band ensure things are kept light and appealing. A lot of choices are being investigated and whether the decisions made are right. I do wonder how our lives would be different if we had stayed in relationships or taken a different path. Our heroine is wondering whether things would be better if she had done things different and maybe stayed with someone. I think these are natural doubts and she cannot be too hard on herself. We all go through times when we look back and question our minds. There is something quite interesting about the vocal. In terms of sound, it is like nobody else but there are some familiar strands around the edges. It is a powerful and rousing delivery and one that brings the words to life. I like how the band connects and the interplay. The music is wonderful and often stands aside and strikes. There is a lot being said in the composition and it beautifully blends with the vocals. The lyrics talk about being the best version of you and thinking about yourself. I wonder whether the heroine was looking at herself and wondering whether she could have made things better or is taking a new leaf in 2019. She has been through some hard times and made mistakes but I think she is looking forward rather than back. Maybe there have been some hard decisions made but she is in a place now where she can evaluate and move forward. I’d like to think she’s happy now and excited about the next moves. I know Orchards, on Age of You, want to write about something missing and someone not being there. Maybe it is based on some single experience or relationship or it might be about a general feeling something is missing. You can look back and decide what is missing and moments lost but looking ahead and making a better version of you is a more positive thing. I feel the band are looking to embrace this sense of fulfilment and making improvements. Our lead has been through some bad moments and might regret some decisions but she is keen to move forward and build as a person. The lyrics are quite tough and revealing but there is a lot of positivity people can take away. We have all been in that mindset where we think we have missed out or are a bit incomplete. Orchards project this song that has a sense of optimism and cheer but that does not mean the song is slight and ineffective. The deliver and lyrics are powerful and memorable and the combination of these two elements is extraordinary. A terrific and impactful song from a promising young band that are growing stronger and stronger. Age of You is a cracking song that we can all relate to and take something away from.